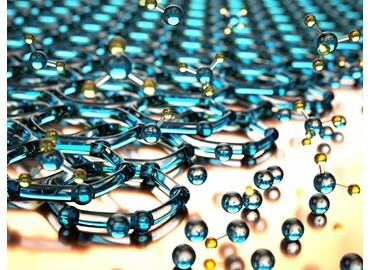 Australian graphite company Talga Resources will set up a world-first graphene demonstration plant in central Germany at a cost of less than $1 million. The new plant is estimated to be able to scale up to output 100 to 200 tonnes per annum with production to begin towards the end of 2015. 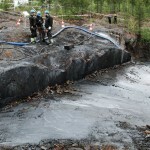 The Talga Bulk Sample/Trial mine located in northern Sweden will send graphite products to the new demonstration plant in Thuringia for graphene production. Although the plant in Germany will allow fast tracking of the trial product, Talga expects to set up full-scale processing plant in Sweden. The new plant will be the first to demonstrate commercial scales of direct ore-to-graphene process suitable for industrial volumes for customer samples or sale. 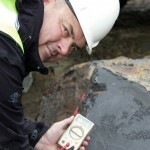 Talga managing director Mark Thompson said the decision to proceed with a demonstration plant followed Talga’s success in moving its high-grade Swedish graphite ores from laboratory to bench top scale and replicating graphene process results. “The next stage of development will expand to a locked-cycle demonstration scale plant able to produce meaningful quantities of graphene and by-product graphite for larger customer samples and/or material graphene sales in 2015,” he said. The plant will be run by a wholly owned subsidiary company of Talga Resources called Talga Advanced Materials GmbH. The plants technical director, Dr Georg Hochwimmer will coordinate establishment of the plant, finalisation of the demonstration plant design, construction and commissioning, and will continue to liase with Talga’s collaborating research organisations and industry. Talga is currently undertaking due diligence on financial incentive packages and non-refundable loans offered by the State Development Corporation of Thuringia and the Saxony Economic Development Corporation.